Based in Columbus, Ohio and New York, ELOQUII offers contemporary fashion in plus sizes ranging from 14 to 24. Whoever said plus size fashions aren’t fabulous clearly never shopped here. They offer a huge variety of gorgeous gowns and dresses for formal occasions or casual day-to-day items for the home or office. 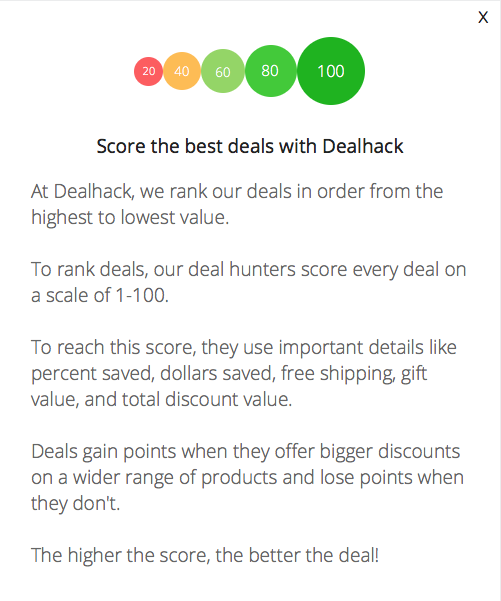 At Dealhack, we believe you shouldn’t pay full price for fashion, which is why we offer some of the hottest coupons around. Have you checked out ELOQUII lately? Keep reading to find out more of what they have to offer. You’ll also find tops in various styles such as short sleeve tees and tank tops for those hot summer days by the pool or at the beach. You can find warm cardigans and knit sweaters to stay cozy. Find trendy scoop neck t-shirts and chic jackets to compliment any outfit. If you’re looking for a new skirt, find countless styles such as pencil and overlay as well as shorts. ELOQUII carries denim in all styles because they know one look isn’t enough. From straight leg jeans to trouser jeans in every color imaginable. You can even find gorgeous denim dresses and skirts. Find a great belt to put the finishing touch on any look. There’s no better time than now to grab your coupon from Dealhack and get some ELOQUII goodies. You’ll find an outfit for every occasion. Furthermore, be sure to follow ELOQUII on Facebook, Twitter, Pinterest, and Instagram. If you have any specific questions and would like to speak to someone from the ELOQUII team, please call 1-888-534-5314. Sign up to the ELOQUII email list and get notifications of seasonal sales and exclusive coupons sent directly to your inbox. We have the latest coupon codes right here on this page but you can also browse the sale section for additional savings. Create a wish list to allow others to purchase items for you. These are great for birthdays or showers. Use the hashtag #XOQ to follow amazing looks on Instagram. This is a great way to see how other women style their latest looks. Use the trending now section to find what’s hot. Plus, check today’s daily deal to save 50% on a variety of items. What is Today’s Best ELOQUII Promo Code? The best ELOQUII promo code right now is HBD. This code is for '50% off Tops'. Copy it and enter it on the ELOQUII checkout page to use it. All orders of $100 or more will ship for free. Flat-rate, two-day, and overnight shipping upgrades are available. You can see all prices for upgraded shipping here. You can return or exchange any unwanted items within 30 days of your purchase date. A shipping fee of $6.99 will be deducted from your refund to cover the return shipping costs. International returns will be accepted but ELOQUII asks you notify them within 14 days of purchase.